Eric Aubier entered Maurice Andre’s class at the CNSM of Paris at the age of 14 where he was the youngest graduate at the time earning three first prizes. He later won various prizes in international competitions in Prague, Toulon and Paris and Rolf Liebermann named Eric Aubier the solo trumpet for the Paris Opera Orchestra. He was only nineteen at the time. From 1995 on, he devoted himself to his career as an international soloist and professor. He is very involved in developing the repertoire of his instrument and is the favorite trumpet player of many composers who dedicate their works to him, notably Nicolas Bacri, Thierry Escaich, Betsy Jolas, Carlos Grätzer, Martin Matalon, and Charles Chaynes. 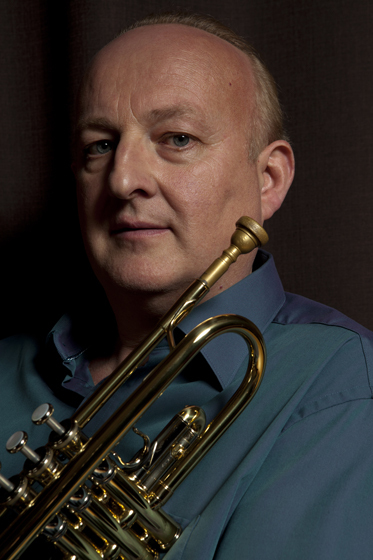 He also breathes new life into the beautiful 20th century French music for the trumpet: Ohana, Jolivet, Tomasi, Françaix, Schmitt, Hubeau, Enesco, Delerue, Sancan, Désenclos, Ibert. He has a world-wide reputation as the major interpreter in the French wind instrument tradition throughout the world, he is perceived as the one who best perpetuates the French wind instrument tradition; he is, in a sense, the « trumpet in the new light ». His discography includes over 100 works produced by Sony Classical, Arion / Pierre Vérany, Calliope, Mandala, Bis, Accord / Universal. “La Trompette Française” won the Diapason d’Or, ‘Recommandé’ by Classica. His recording of Tanz Fantaisie by and with Thierry Escaich won the Grand Prix des Lycéens de la Lettre du musicien et Musique Nouvelle en Liberté. The recording of the Concertino by Skaalkottas (Bis) also earned a ‘Recommandé’ by Répertoire and was distinguished in the Gramaphone review. In 2004 he will record Trame V, concerto for trumpet by Martin Matalon with the National Orchestra of Lorraine for Accord / Universal. New issues in 2009: “Les vents Français” by Sony Classical, “Tanz fantaisie : The New Trumpet & Organ” with Th. Escaich and “Impressionist Balade” with Pascal Gallet (piano) by Indesens records. His CD’s are regularly awarded. The forthcoming CD dedicated to trumpet works of French composer Henri Tomasi will be released by Indesens records in next February. Eric Aubier has recorded about 12 CDs gathered in the “Eric Aubier Anthology” by Indesens records.